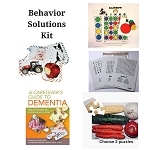 'Behaviors' is a term you may have heard that refers to the difficult symptoms that can come with Alzheimer's or other form of dementia such as wandering, yelling, crying, agitation. True, these are behaviors, as the definition of behavior is " the actions or reactions of a person or animal in response to external or internal stimuli". But we miss the boat if we focus on the "action" part of the definition and not the "in response to an external or internal stimuli" part of the definition. 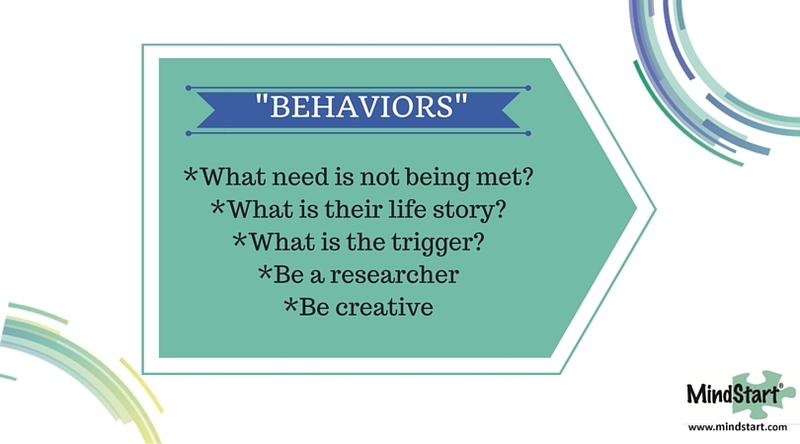 A behavior is a message, a reaction, or a response to something. Therefore, there is no easy "if this happens, then do that" solution. To figure out what is happening, the caregiver will need to investigate and research to look for what the external or internal stimuli - or trigger - is for that particular behavior. When the root cause(s) for the behavior is uncovered, then you can look to what changes might be made to change that trigger. Ask "what need is not being met?" Ask "what is the trigger?" Ask "what is their life story?" Monica is an occupational therapist with nearly 20 years of dementia care experience. She offers easy to understand explanations of the process of Alzheimer's or other dementia and gives practical, useful tips that can help both the person with the disease and the caregivers.